"You’re mad, bonkers, completely off your head. But I’ll tell you a secret. All the best people are." The Mad Hatter, the Red Queen, Tweedledee, Tweedledum, and, of course, Alice. 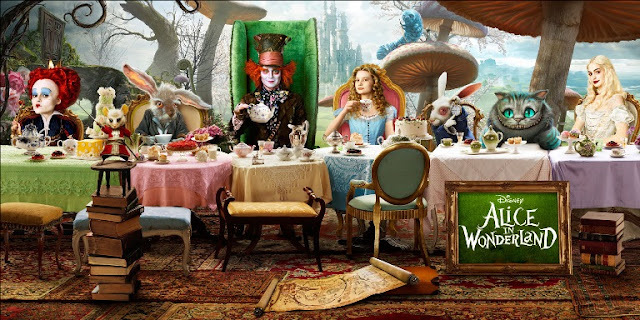 Lewis Carroll's Alice in Wonderland is full of memorable characters. The mastermind who helped bring them to life in Tim Burton's film adaption and its recent sequel, Alice Through the Looking Glass, was designer Colleen Atwood. 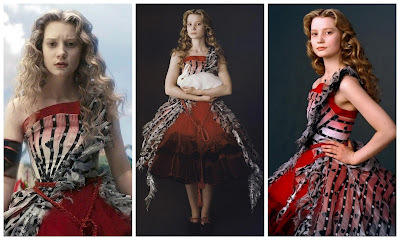 She deservedly won an Oscar for making Alice in Wonderland's costumes ever bit as extraordinary as the cast. One of the biggest challenges for Atwood while coming up with design ideas was Alice's continuously shifting shape. "We made a decision that as Alice shrunk and grew, her dress would not," says Atwood. "Alice had around eight looks, and multiples of most of them, so there were around 20 hand-made costumes. The script and idea of Alice as an exploring spirit really inspired me." In one scene, Alice shows up to the Red Queen's court, eats a bit too much cake given to her by the White Rabbit, and completely outgrows her blue dress. The Red Queen (played by Helena Bonham Carter) spots her hiding behind the bushes and orders, "Someone find her some clothes, use the curtains if you must, but clothe this enormous girl!" 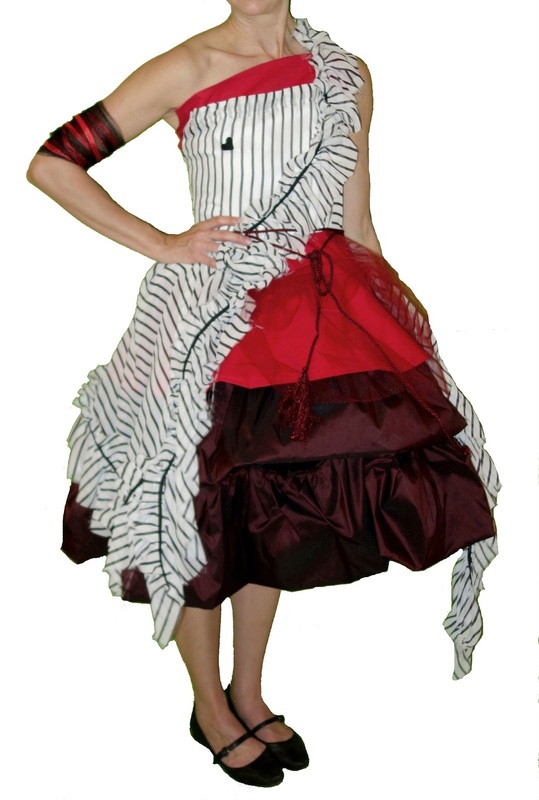 Alice is then given the very Burton-esque, asymmetrical black, white, and red dress. The Mad Hatter, played by Johnny Depp, is a bizarre character that has literally gone mad. When coming up with a vision for the character, Depp found that hatters would actually go a little nutty from the glue they used because of its high mercury content. He then made a watercolor painting of how he envisioned the Mad Hatter's appearance. At the same time across the globe, Burton came up with a sketch that was very similar to Depp's. When designing the Hatter's costume, Atwood spared no detail and even incorporated all the tools of his trade into the designs, such as scissors, thimbles and a pin cushion ring. Atwood and Burton have been working on projects together since Edward Scissorhands. May their whimsical masterpieces continue for many years to come. My friends are throwing a mad tea party this week inspired by Lewis Carroll's Alice in Wonderland (costumes, teacup breaking, and all). Since I love Tim Burton films, I chose to make the dress Alice is given when seeing the Red Queen. And that is when I fell down a rabbit hole . . . The black and white striped fabric used for the original costume is beautiful and it was difficult to find something similar. 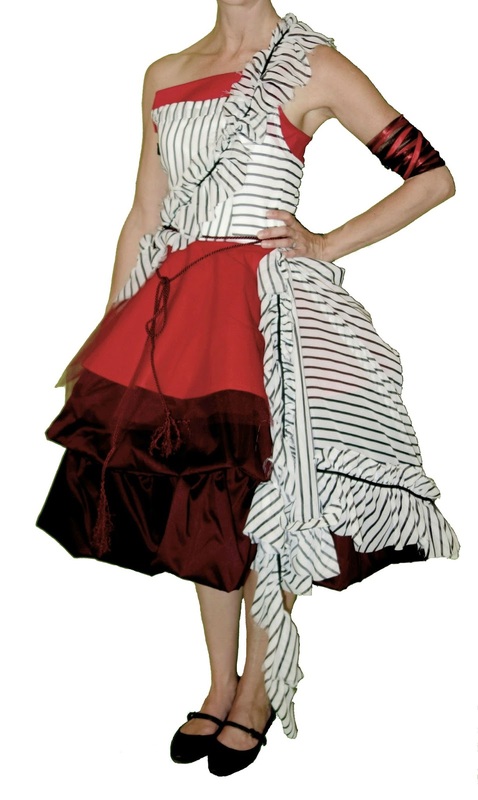 I ended up buying a striped chiffon from Etsy along with a lot of tulle, taffeta, cotton twill, cording, and ribbon. The total amount of fabric came close to 20 yards. I only had photos from a Google search to use as a guide to create this costume. Due to the limited number of hours I had to make the dress, it was lucky for me that the original design by Colleen Atwood was made to look like it had just been thrown together on a whim. It was perfectly undone. By the end of it, I was cutting fabric pieces haphazardly without even measuring them and randomly tucking in bits of the skirt in the back just as Alice's dress is in the movie when she shrinks once again. Fittingly, constructing this dress made me go a little mad.